These LEGO® BrickHeadz™ 41627 Luke Skywalker™ & Yoda™ construction characters are fun to build using LEGO bricks that recreate all their iconic details, including Luke’s Lightsaber™ and Yoda’s pointy ears and cane. 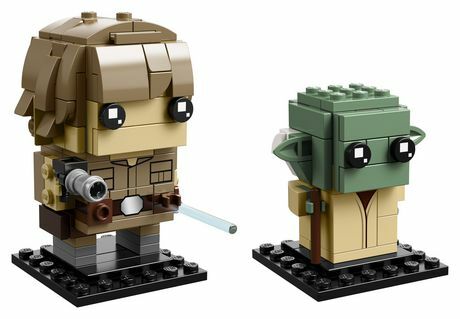 The master and apprentice each stand on a buildable collector’s baseplate for easy display in your home, office or any planet you like. 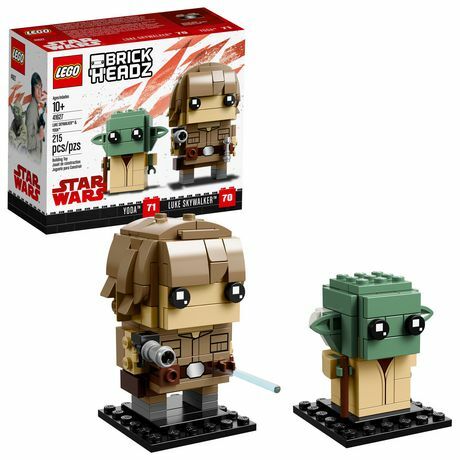 • Buildable Luke Skywalker™ & Yoda™ LEGO® BrickHeadz™ construction characters feature decorated eyes and authentic details from the original blockbuster Star Wars: Episode V The Empire Strikes Back movie, including Luke’s Lightsaber™ and Yoda’s pointy ears and cane. 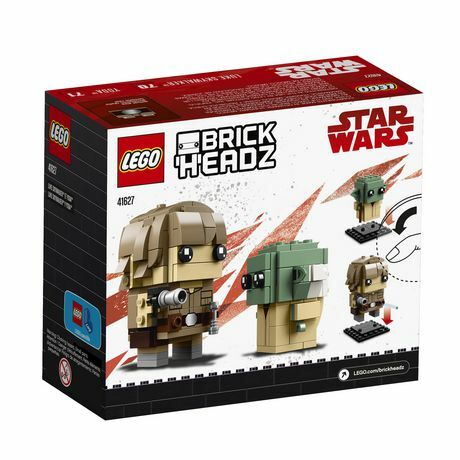 • Each LEGO® BrickHeadz™ construction character comes with its own buildable collector’s baseplate. 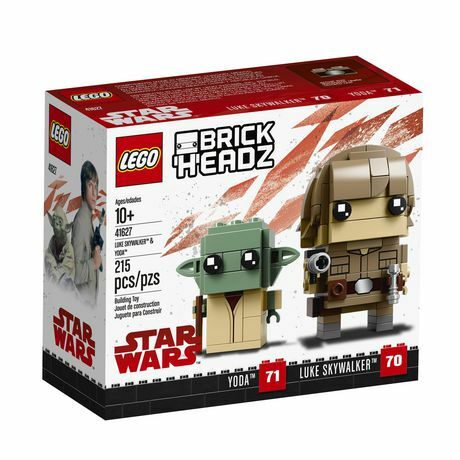 • Have fun growing your LEGO® BrickHeadz™ collection with other characters from the Star Wars saga, TV series, games and comics. 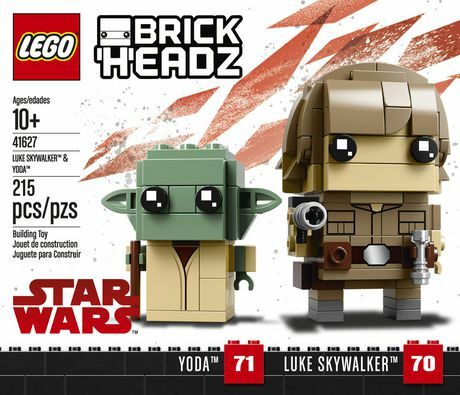 • Luke stands over 2” (7cm) tall without baseplate. 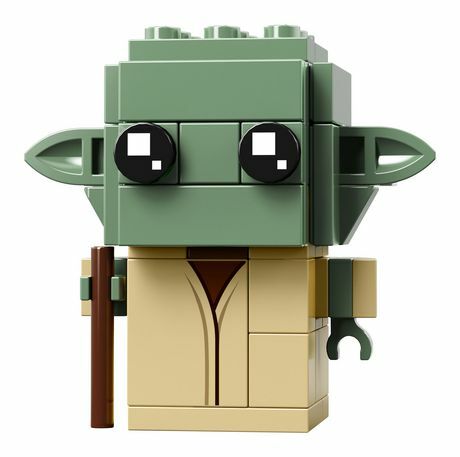 • Baseplates measure over 1” (4cm) square.